Prior to joining Goldberg, Miller & Rubin, Kevin was a judicial law clerk for The Honorable Gary B. Gilman of the Bucks County Court of Common Pleas. He also gained experience as a law clerk at a Philadelphia litigation firm, contributing to all aspects of litigation in wide-ranging commercial matters, premises liability, and employment cases. 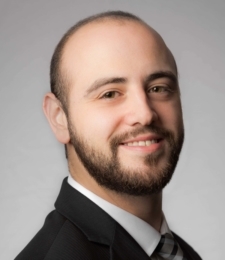 While earning his Juris Doctor from Drexel University, Kevin worked as a Certified Legal Intern at the Bucks County Office of the Public Defender, aiding in the defense of various clients. While attending the Thomas R. Kline School of Law at Drexel University, Kevin was on the board of the Drexel Law Review where he acted as the Membership and Recruitment Editor. He was also a member of the Marshall-Brennan Project where he taught inner-city Philadelphia students about the Constitution. Kevin also contributed to the Philadelphia community by conducting pro bono work for the Criminal Record Expungement Clinic. Outside of the practice of law, Kevin played Division 1 ACHA ice hockey at Towson University where he earned his Bachelor’s Degree in Business and Sports Management. He still enjoys playing hockey in his spare time. Kevin also enjoys rooting for the Flyers, Eagles, and Sixers and relaxing on the beach during the summer with family and friends.